Recent statements by Bill Gates in an interview in favor of a tax on robots that replace human work contrasts with the resolution of the European Parliament last Thursday, February 16, which called for the development of a legislative framework for the development and deployment of robots, but rejecting a proposal of a specific tax on them. The idea of ​​a tax on robotic work to paid by the companies that use them is more complex than it appears. Firstly, because it has no historical precedent: in the industrial revolution, where the development of all kinds of machines and processes of automation put large numbers of people out of work, as has happened in the decades that have passed since then, during which this transition has accelerated, the adoption of productive technologies has never been subject to a specific tax, beyond the logical fact that greater productivity and greater profits may affect a company’s tax status. The idea put forward by Bill Gates sounds very intuitive: “If a human worker carries out $50,000 of work in a factory, that salary pays taxes on income, social security, etc . 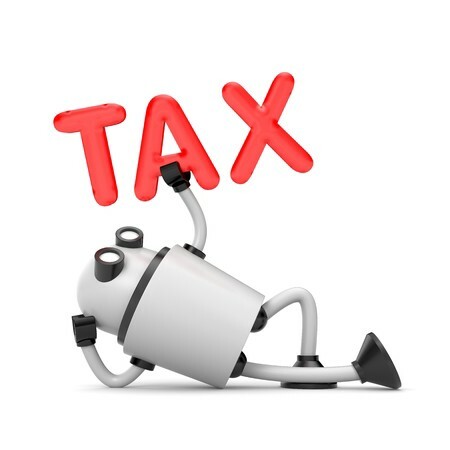 ; if a robot performs the same task, it should be taxed at a similar level”. But this clashes with a number of questions that are less intuitive and that can be used as a counter argument. The first is that the so-called man-hours model from which to calculate tax pressure works only at the time of substitution, and begins to deviate and ceases to function from the moment that successive technological developments generate further increases in productivity. The idea that a robot that assembles components in an assembly line replaces a worker doing the same may seem straightforward enough, but what happens when that ratio changes, or when it is shown that this substitution also generates higher productivity, higher quality or fewer defects? Should we increase the tax progressively depending on how good the robot is? The implementation of such a tax seems complex, and in addition, quite possibly, counterintuitive and unjust: why should we punish those who invest to carry out better, more productive or better quality work with higher taxes? Gates’ tax aims to slow down the transition in order to allow society to adapt to it. It could also be a disincentive to train workers who lose their jobs so they can be employed in tasks that still require inherently human skills, including caring for the elderly, classes with fewer students or assistance to children with special needs. Then there is the most critical question: should humanity really consider applying brakes to delay technological development? Does that really make sense? Shouldn’t we instead try to do precisely the opposite and accelerate the development of technology so as to be able to reap its benefits more advantageously? Technological development is leading to a growing concentration of wealth in fewer hands, a polarization of society and a progressive erosion of the middle classes. This situation generates two immediate arguments about unsustainability: on the one hand, a society intensely polarized and divided between the very rich and the very poor will diminish demand and with it the viability of companies that manufacture products for a mass market. On the other hand, this situation will give rise — and there are abundant historical precedents — to social unrest and conflict. But is a tax on robots the way to counter these concerns? The alternative to taxing robots could instead be a gradual increase in taxes: factories that use robots will benefit from lower wage bills, higher productivity and better quality goods, meaning they will make more money and end up in a higher tax bracket. In turn, additional tax revenue could be used to finance mechanisms to avoid social imbalances and exclusion, possibly on the basis of universal or unconditional basic income. This income could replace a large part of the current system of subsidies, avoiding most of its negative effects, such as the disincentive to the search for additional income. Rethinking the tax system also comes up against a fundamental problem: the fact that, faced with the absence of frontiers posed by the development and adoption of technology, we continue to live in a world in which each country is free to set its taxes as it sees fit, leading to the generation of inequalities and asymmetries that allow the evasion of those taxes. For a country, considering an increase in the tax burden for companies that generate the most profits could discourage successful foreign companies fleeing higher taxes at home. Combined with universal or unconditional basic income, it could also create immigration problems, as people are attracted by the redistribution of wealth. This is not a problem that can be solved simply by imposing a tax on robots: the problem goes much deeper, and requires taking into account many considerations and problems many believe impossible to solve, such as creating a world without borders or that is subject to common laws. Discussion on this issue deserves much greater and deeper attention beyond simple ideas and specific solutions. Anybody who thought the world had not changed, should think again.